Build a “virtual” building automation system for a fraction of the cost by pairing connected thermostats with Encycle’s IoT-enabled Swarm Logic® technology. Encycle’s SwarmStat™ technology provides a value-added solution for commercial and industrial building owners interested in making their buildings operate smarter by transitioning from manual thermostats to connected thermostats that are easy to own and operate. Going beyond comfort control, SwarmStat allows companies who may not have a standard building automation system (BAS) or existing smart thermostats to achieve the benefits of our unique, multi-patented, cloud-based Swarm Logic® software technology without having to install additional equipment on their HVAC rooftop units (RTUs). 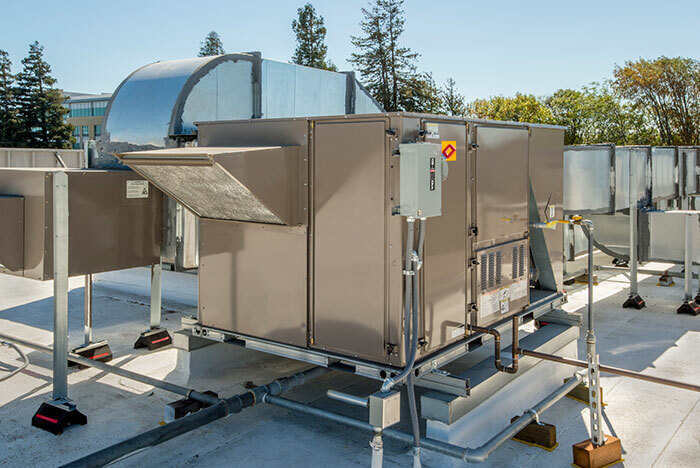 We partner with several leading OEM building control companies to provide our customers with affordable and easy-to-install connected thermostats that allow facility managers to manage multiple HVAC systems remotely and seamlessly with precise control. For customers who have connected thermostats in place already, we establish connectivity between the thermostats and our Swarm Logic software, which enables rooftop units (RTUs) to operate as a networked system to improve energy efficiency. Typical Encycle customers who integrate SwarmStat thermostat products with our Swarm Logic technology achieve reductions of 10%-20% on HVAC-related energy spend, consumption, and demand! Fast and easy to install – Typically done in one day! Lock-out controls that prevent unauthorized users from making changes to temperature settings, programmed times, etc. Don’t let your buildings fall too far behind the technology pace. Talk to us about cost-effective ways to upgrade your current thermostats to gain a new set of HVAC controls and energy-saving capabilities. Call our energy experts at 1-855-875-4031.